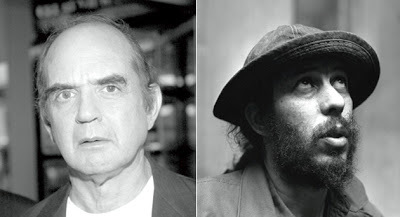 Harvey Pekar (left) in 2003, and Tuli Kupferberg in 1968. Photos from Getty Images / Forward. 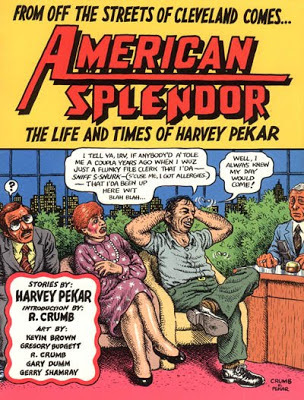 See “On the grumpy but sweet Harvey Pekar,” Below. Harvey Pekar and Tuli Kupferberg died on the same day, July 12, and shared much, including peacenik politics, a strong sense of humor, and a passion to carve art out of the fragments of popular culture. But they were almost an American Jewish generation apart, a detail that now seems difficult to grasp entirely, but is still crucial. Kupferberg, born in 1923, was a real bohemian of the pre-beatnik era, a hipster whose leap off a New York bridge in an attempted suicide famously appeared, without his name, in Allen Ginsberg’s seminal poem “Howl.” He once told me that he had become an anarchist in the mini-boom of postwar anti-bomb, anti-government sentiment among intellectuals and artists on both coasts. He recalled being a young man bitterly opposed, from the left, to Henry Wallace, the Progressive Party candidate of 1948. Meanwhile, Pekar, then 9, was following his mother’s lead, passing out Wallace leaflets in his Cleveland Jewish neighborhood. He shared his Bialystok-raised parents’ joy at the birth of Israel. The two future artists were both shaped by the Depression and by Franklin Roosevelt, two key influences upon practically any American Jew of those years. But Kupferberg had briefly become a Trotskyist even before Roosevelt died, while Harvey remained, till the end of his life, at one with his family memory that the great leader had saved them all personally, as well as the country, from disaster. By contrast, in one of Pekar’s several autobiographical comic art books, “The Quitter,” he bitterly regrets dropping out of college after only two semesters in his native Cleveland. He couldn’t get his head around schoolwork, and slipped into bohemianism almost by accident. The two were evidently major jokesters as schoolchildren, which may have marked them out as a particular Jewish type, prepared to look at the world from an oblique angle when offered the possibility of getting friendly laughs. Despite these differences, Kupferberg and Pekar were deeply interested intellectually, and even more deeply involved personally, in urbanism, the decay and sometime revival of the neighborhood for good or ill. Through his life’s work there, Kupferberg made himself into an iconic figure of the Lower East Side, latterly fighting gentrification, just as Pekar was forever in Cleveland, actually moving to one neighborhood from another across several decades, ahead of the bulldozers and the urban renewal that never renewed much of anything. Their work — in Kupferberg’s case, words, drawings and music — was full of neighborhood people, all types, storefronts, crowds, friends (in Harvey’s case, his own first two wives, who were often not so friendly) and a sensibility all their own. They hit upon art forms whose uniqueness will remain, long after their deaths, the signature of a time and place, hinting always, but in highly curious ways, at something larger. Kupferberg began writing poetry early and, if he had agreed to the definition, would be rightly classified as a Beat Poet in what might be called the Ferlinghetti or City Lights school: humane, free form, and uncensored, above all raging against the madness of the Cold War arms race. In 1958, with his future wife, Sylvia Topp, he brought out Birth, a literary magazine that would publish the likes of LeRoi Jones and Diane di Prima, among others. 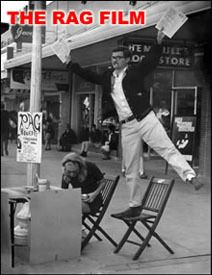 Living off B Street, selling 1001 Ways To Live Without Working, a beatnik humor book of his own, on the street, he ran into another poet, Ed Sanders. The two of them opened the Peace Eye Bookstore in 1964, and were the most famous of The Fugs, one of the delightfully outrageous rock groups of the coming era. The Fugs performed endlessly at peace demonstrations and other venues. Paul McCartney foiled autograph hounds by signing himself “Tuli Kupferberg.” The Fugs wore themselves out by 1970, but Kupferberg went on and on, performing in many ways, often as inauspiciously as sending out packets of his photocopied cartoons to friends (I was one of them). Peace and resistance never failed as themes. Pekar famously met cartoonist R. Crumb in the early 1960s, and gradually came to the conclusion that anything, even the Russian novels he loved so much, could be done in comic form. His long-running series of comics, “American Splendor,” was launched in 1976 (he, too, began as a self-publisher) and continued on almost until his death, in one format or another. Pekar went through dozens of artists, giving them dialogue and precise directions (in the form of comic panels with stick figures). He couldn’t pay them much: Making his own living never ceased to be a struggle. But the award-winning, 2003 film American Splendor rendered him a public personality, especially on campus, where lecture fees and book sales finally gave him a modicum of financial security. It was long overdue. One of Kupferberg’s own favorite strips (I received it several times) showed a grandmother with Kupferberg as a child. In one panel he is whistling; in the next, Granny warns, “Yidishe kinder fayfn nit!” [“Jewish children don’t whistle!”] It was obviously a fond, oddball memory of another time. Pekar also had his connection to the culture of the mameloshn, or mother tongue. In the months before his death, Pekar was working (with me and a handful of artists) on “Yiddishland,” a book that begins with him and his Yiddish-speaking grandfather in Cleveland around 1944. He still wanted to tell his vanished relatives that he had become a Yidishe shrayber, a continuator of Yiddishkeit, and he had, in his own way, reached that goal before the end came. Neither of these deeply Jewish artists is likely to be forgotten soon. Above, from the American Splendor series, cover art by R Crumb. 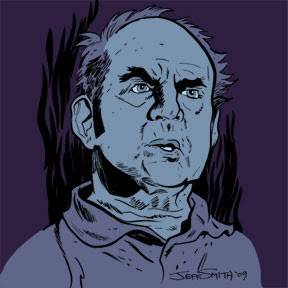 Below, Harvey Pekar by Jeff Smith / The Pekar Project. You worked with Harvey Pekar on several projects, including books on the Beats, SDS, the Wobblies, and the New Deal. How did your collaboration come about? I was working on my second historical comic, about the Students for a Democratic Society, and I could gather (in some cases writing about my own life) local stories that worked as scripts, but the big narrative was terribly difficult for me, probably because the collapse of SDS was such a huge disappointment in my younger life. Harvey happened to call me and he needed money. I offered him my advance if he would write the narrative. We started there and went on til the end. Pekar was known for his sometimes irascible commentary. What was it like to work with him? He pretended to be grumpy. He was grumpy about making very little money for his work, and also about the rightward drift of America after his earliest years, in a family that admired FDR and hoped for a more egalitarian society. But he was truly sweet, generous, and supportive of young artists. How was his viewpoint on life reflected in his work? Harvey was able to conceive of his work as his life and vice versa. He may have borrowed the idea from his 1960s close friend, Robert Crumb, but he took it in a different direction, to deeply ethnic, blue collar Cleveland. Many of his early stories were about his own personal relationships but also about his neighborhoods, his job (work at the VA hospital for 36 years) and his interests, such as jazz. You’re a historian. How did Pekar’s perspective inform your interpretation of history? I like to think that I broadened his vistas in his published work, in the sense that in our five books, he read very widely about large historical questions and developed scripts that tell the story differently from a scholarly study, but just as well and in many cases, much better. You didn’t need to agree with Harvey’s take on SDS or the Beat Generation, for instance, to see that he had strong opinions and a distinct aesthetic. He was deeply interested in history, as he was in literature and art. If I were describing some Cleveland setting, I would start with demography. He would start by describing a local Serbian restaurant he liked whose owner was actually a Croat, and so on: that was his way of explaining and exploring history. What do you think will be his legacy in the world of comics and graphic novels? There were not many artists and writers (he never drew comics, but he gave artists very specific directions, along with dialogue) in the U.S. whose work, before the turn of the new century, shaped the emergence of comics as an accepted, serious art form. Along with Harvey, I count Robert Crumb, Art Spiegelman, Ben Katchor, and Alison Bechdel. These were also practically the only artists of “alternative comics” who made a living. He expanded what comics can do. When I worked with him on the adaptation of Studs Terkel’s Working, I realized — as an oral historian and teacher of oral history — that he was also to comics what Studs was to the interview. He knew how to listen to people. He raised the level of comic art. Did you have another project in the works with him? Yiddishkayt or Yiddishland (we are still debating the title) will, I hope, appear next year. It meant a lot to Harvey, a native Yiddish speaker. It’s the story of secular Jewish-Americans who carried on the centuries-old legacy of Yiddishkayt, and did wonderful things with the language and culture until time ran out. His scripts for this book, to be published by Abrams ComicArt, are more than masterful, and he knew it. “Paul Krassner: Remembering Tuli Kupferberg” by Paul Krassner / The Rag Blog / July 14, 2010. 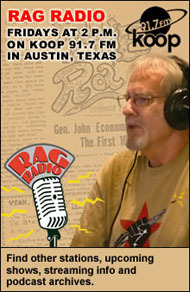 “Tuli Kupferberg of The Fugs: Rock’s Inner City Shaman” by Carl R. Hultberg / The Rag Blog / July 13, 2010. “COMICS / Paul Buhle: Beyond the Superhero” by Paul Buhle / The Rag Blog / July 23, 2009. 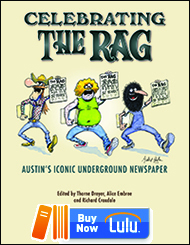 This entry was posted in Rag Bloggers and tagged American Jews, Artists, Beat Generation, Cartoonists, Harvey Pekar, Historians, Leftists, Musicians, Paul Buhle, Poets, Rock 'n Roll, Sixties, Tuli Kupferberg, Underground Comix. Bookmark the permalink. Paul has omitted Austin’s French emigre, Mr. Gilbert Shelton, who is, we sincerely hope, making some sort of living from his ongoing work in alternative comics! Viva the Freak Bros! !